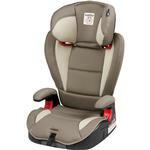 Peg Perego VIAGGIO HBB 120 Car Seats - Free Shipping! 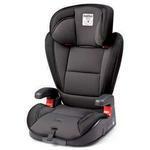 Keep your growing child safe with the Viaggio HBB 120. The newest addition to the Viaggio family, the HBB 120 can comfortably seat a child from 40 to 120 pounds. Equipped with back support and total Side Impact Protection to ensure a safer ride. For children 40 to 120 lbs., Maximum Height 61"
The Viaggio HBB 120 is equipped with total Side Impact Protection (SIP), keeping your child safe in the event of an accident. Expanded Poly Styrene (EPS) can be found in the headrest and seat cushion, providing increased protection and comfort. LATCH connectors have been added to the Viaggio HBB 120 for additional stability and to keep the booster seat in place when not in use. SIP Adjustable Side Impact Protection exceeds the most stringent tests in the world. Wide-padded wings provide Side Impact Protection at head and shoulder level. EPS Energy-absorbing Expanded Poly Styrene foam in head panel protects the child?s head from impact forces. LATCH Includes LATCH connectors that attach to vehicle, keeping the booster seat secure when not in use. FORWARD FACING The Viaggio HBB 120 is used forward facing from 40 - 120 pounds with a maximum height of 61". REMOVABLE BACKREST The backrest on the Viaggio HBB 120 can be removed for easier travel and transport. 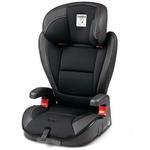 (Please Note: The backrest provides the best protection for your childs head and shoulders in a side collision.). 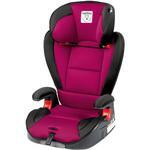 FASHION FORWARD Stylish upholstery and colors that add elegance to any vehicle. PERFORMANCE FABRIC Innovative microfiber fabric on seat is breathable and absorbs moisture, keeping the child cool and comfortable.